The citizens of Zaragoza and for that matter, other parts of Aragon, took their time to fully come to terms with football. Organised competitions did not truly get under way until 1915, a good decade or so later than neighbouring Catalunya. 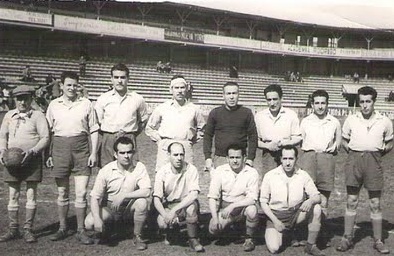 The first important team to emerge in the Aragonese capital was Iberia Sport Club, which was formed in 1916 and went on to dominate the early years of the regional championship. 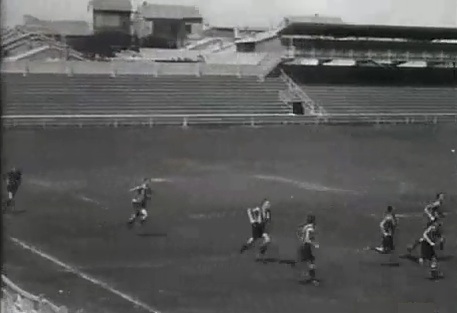 The only real challenge Iberia experienced came in the form of Sociedad Atletica Stadium, who was founded in 1919 and pipped Iberia to the championship in 1924 & 25. Another team founded in 1919, Zaragoza Football Club, joined forces with Sociedad Atletica Stadium in 1925 to create Club Deportiva Real Zaragoza, but Iberia continued to reign supreme and featured in the inaugural season of La Segunda in 1928-29. Iberia was undoubtedly helped by the foresight of its directors who had developed the city’s first purpose built stadium, Campo de Torrero. 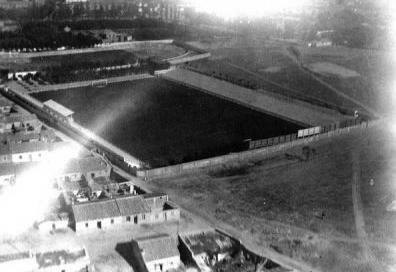 Opened on 7 October 1923 with a match against Osasuna, Torrero was to the south east of the city centre and featured concrete terracing on all four sides of the ground. On the west side, above the main terrace sat a raised stand that featured a dozen pens, a sort of forerunner of the modern day private box. With a capacity of 8,000 it was one of the best appointed stadiums outside of the traditional footballing heartlands of Catalunya and the Basque Country. This fact was recognised by the Spanish Football Federation when Torrero was selected to host the 1927 final of the Copa del Rey and an international match on 14 April 1929. A capacity crowd watched on as La Selección trounced France 8-1. The club and the Campo de Torrero escaped relatively unscathed from the Civil War, although officials had to remove upward of 200 grenades from the pitch. When the league resumed in September 1939, Zaragoza seemed to take their new status in their stride and home form was particularly impressive. At the end of the season, the club had gained a creditable seventh place finish and remained unbeaten at Torrero. Unfortunately, Zaragoza could not repeat that form in 1940-41 and the ended the season in eleventh place and was relegated to La Segunda. They returned a season later after winning promotion via the play-offs, but the 42-43 season was to prove another disappointment and 13 points from 26 games saw them drop back to La Segunda. The club developed Torrero in the summer of 1943 when the short stand was effectively extended along the whole of the west side to create a gallery. 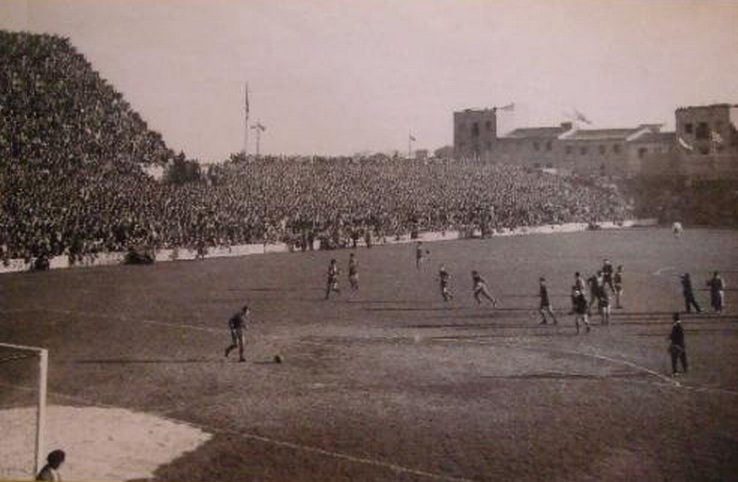 The terraces to the north and east were extended raising the capacity to 15,020, but Zaragoza was about to hit an all-time low. 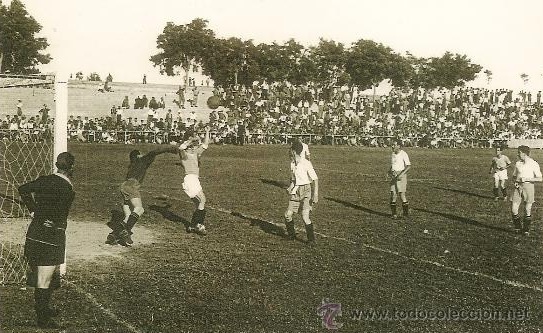 Instead of challenging for promotion, the mid-1940's saw the club return three mid-table finishes before dropping to the Tercera in 1947. Dropping to the amateur & regionalised Tercera was a major financial blow to the club and it the two attempts it took to escape only added to Zaragoza's problems. Further woes followed, when on September 11 1949, in their first home match since returning to La Segunda, a retaining wall at the back of the east terrace collapsed during heavy rain, killing one spectator and injuring another seven. That 49-50 season saw the club finish fourth and in the following season, Zaragoza earned promotion to La Primera for a third time thanks to a second place finish in the play-off group. 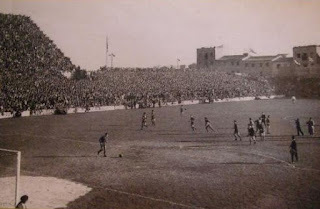 The ill-fated east terrace was extended, but only along half the length of the pitch and the ground could now accommodate 20,000 spectators, but the clubs directors recognised that Torrero could not be their long-term home and set about purchasing the ground from the original owners. This would then be used to clear the clubs debt and the remainder as collateral when negotiating with the local municipality. 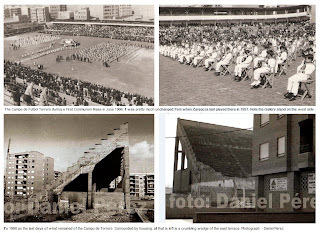 Luckily for Real Zaragoza, (they changed their name in 1951) they had a sympathetic ear to call on in the shape of Mayor Luis Gómez Lagun, who was instrumental in agreeing the financing and location of the new stadium, La Romareda. Meanwhile, Torrero had one last hurrah, when the club, who had dropped back into La Segunda during the mid 1950's, regained a place in the top flight for the 1956-57 season. Real Zaragoza played its last match at Torrero on 28 April 1957, a goalless draw with Real Sociedad in the first round of the cup. Torrero lingered on as a council owned stadium until the late 1970's, but it ran into disrepair as plots were gradually sold off for housing and all traces of the ground had disappeared by the early 1990's. The stadium stood on the Calle Lasierra Purroy and the site has now been swallowed-up by housing and a municipal library.